Be sure to check out the GACoC’s April Chamber Connection Newsletter! Featuring updates on the 2018 Golf Tournament, BAH News, Member Milestone Celebrations, New Member Welcomes and much more! 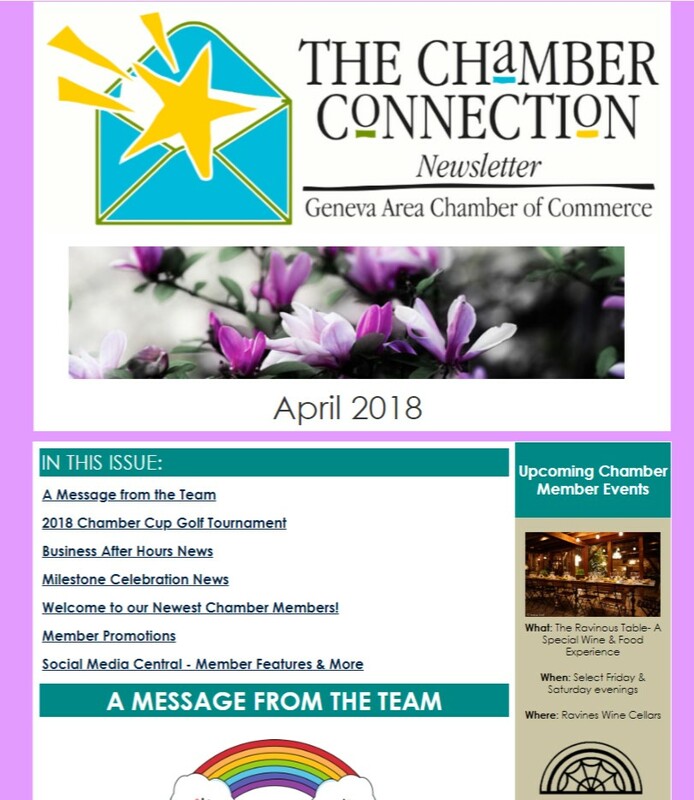 This entry was posted in Chamber Connection/Newsletter, Geneva Area Chamber of Commerce, More News. Bookmark the permalink.